The Welsh Government’s long-awaited announcement of a more frequent service on the Cambrian railway line between Aberystwyth and Birmingham is a massive boost for Ceredigion. 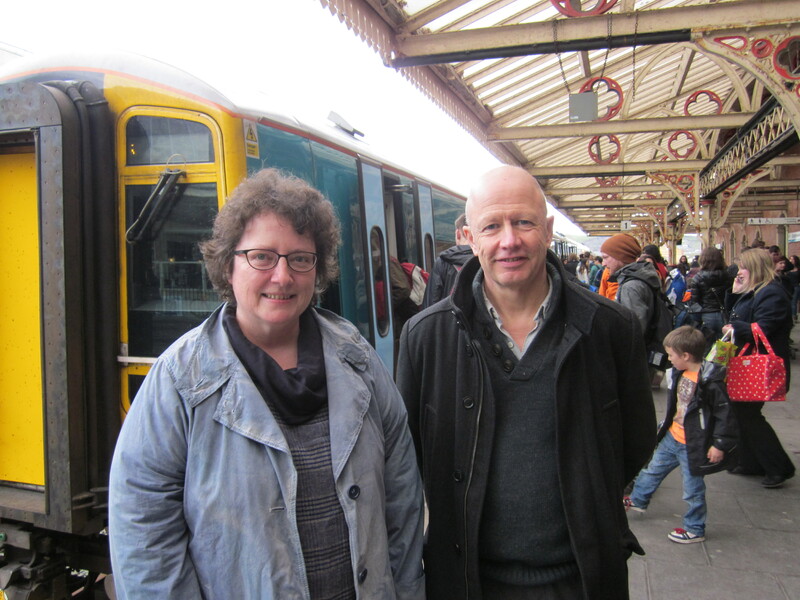 The announcement comes following a long campaign by the public, and pressure from local politicians on the Welsh Government to live up to a promise made at the last Assembly elections that a more frequent service would be provided. Track infrastructure work to enable an hourly service was undertaken under the previous Plaid Cymru Transport Minister from 2007-2011, Ieuan Wyn Jones. The announcement means that there will be an hourly service between Aberystwyth and Birmingham during the morning and evening, beginning next spring. This means additional departures from Aberystwyth to Birmingham at 6.30am, 8.30am, 12.30pm, and 6.29pm, with equivalent return services. Also, there will be extra evening shuttle services from Aberystwyth to Borth and Machynlleth at 8.30pm and 10.30pm. The announcement also heralds improvements to the Machynlleth-Pwllheli coastal service, which becomes a full two-hourly service, and an additional daily journey on the Heart of Wales line between Shrewsbury and Swansea. This has been a long campaign, in which so many have played a part. The huge response to the consultation last autumn contributed to us finally getting what this area deserves – a frequent train service with better connections. The news will be a bonus for commuters, and for tourist businesses in this area. It is also great news for Aberystwyth University and its students. Ceredigion’s connectivity has always been a top priority for me. It’s essential that we’re seen as a place where you can do business, come and study, and come to visit.